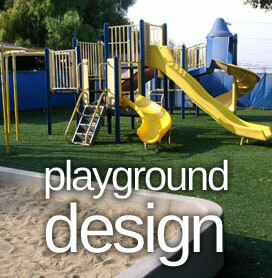 Click to view our playground design photos. Welcome to School Playground, showcasing the best Playground Equipment for your school. Discover playground equipment for kids games, soft play and sport. Read about playmats and playground surfaces including wetpour, rubber mulch and artificial grass. Advice is also available on playground safety. Detailed information with illustrations on artificial grass as a safety surface for your school playground.